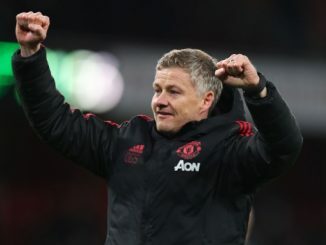 Here at Stretford End it’s time to review how each Manchester United player fared during the 2018-19 season. Over the course of the season, some players performed better than others. But undoubtedly, a few were more consistent. And it’s time to take a look at an individual analysis for each and every single player that saw regular (or semi-regular) action within the first team during the current term. We began the series taking a look at David De Gea and we also checked on Victor Lindelof, Eric Bailly and Phil Jones. We also looked at Marcos Rojo, Paul Pogba, Alexis Sanchez, Juan Mata and Anthony Martial. Now it’s time to analyse another attacker, and it’s none other than our season top scorer: Romelu Lukaku. The Belgian international arrived to Manchester United during the summer transfer window from Everton, and from the first day he was charged with the pressure of being the team’s top scorer and biggest attacking reference. At first there were some doubts regarding on whether Lukaku – known for being a poor-effort player – would fit with Jose Mourinho. But as soon as the season started, the Belgian proved his worth time and time against. And the numbers backed him up, as he was – by far – the team’s most important player on the final third. Lukaku played most of the games for the club and was a consumate regular starter. 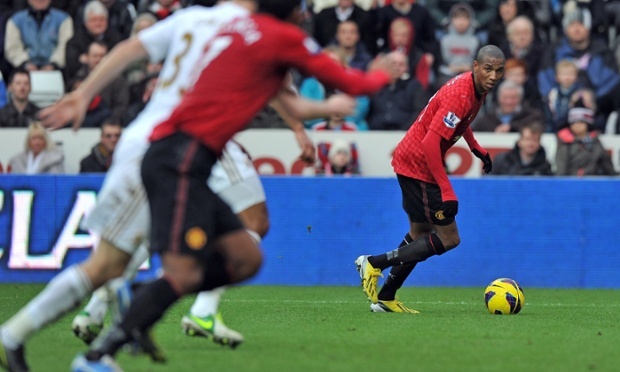 He finished the Premier League campaign with 16 goals and seven assists in 34 EPL matches, 33 of them as a starter. But he was also quite prolific in the FA Cup (five goals in six appearances, three starts) and the Champions League (five goals in eight matches). All things considered, Lukaku finished with 26 goals in 50 matches across all competitions. That’s quite an impressive tally considering it was his debut year. Undoubtedly. Not only Lukaku started most of the games for the team – 89% of the games between the Premier League and the Champions League – but he also the team’s top scorer and biggest attacking threat during the entire campaign. When he was not on the pitch, it was fairly noticeable. And this even led to Mourinho saying “you see why I always play Lukaku?” when the team lost against Brighton in the final weeks of the Premier League. So yes, Lukaku was key for United. And barring any injury, all signs indicate he will remain on that role for years to come. Lukaku is under contract until the end of the 2021-2022 season, and considering this is his first year with the club, the signs are clear: the Belgium international is not going to leave Old Trafford any time soon. As for a goalscoring projection, the signs are encouraging. Lukaku endured a dry spell midway through the season and with a (probably) improved supporting cast and more understanding with Alexis Sanchez, it wouldn’t be far-fetched to imagine Lukaku surpassing the 20-goal or 25-goal plateau next season. He has enough talent to make that happen.